A native Memphian, Dr. Autry Parker is a board certified, fellowship trained anesthesiologist specializing in the interventional treatment of severe spinal and neuromuscular pain. With over 20 years of experience, Dr. Parker was an early pioneer in the comprehensive treatment of pain. His combined Medical and Public Health School graduation thesis at Yale University was used to develop the early protocols for patient controlled analgesia (PCA) that remain in broad use today. Dr. Parker completed his residency and fellowship at Johns Hopkins Hospital where he was the first Blaustein Pain Fellow, training under the direction of neurosurgeons, psychiatrist and anesthesiologist. The Fellowship incorporated all aspects of interventional and medical pain treatment including spinal cord stimulation. Dr. Parker’s early lectures and papers on opiate therapy still serve as study guides and for continuing medical education in opiate education. His consistent and rational approach toward opiate therapy resulted in his appointment to the Tennessee Medical Advisory Board that helped develop the current pain management guidelines in the state. Dr. Parker’s clinical research interests included intradiscal cellular therapy where he serves on the medical advisory panel for stem cell therapeutics. This new research utilizes biologic therapies to improve disc function and treat the pain associated with degenerative disc disease. Dr. Parker recently completed one of the first clinical trials utilizing biologic therapy for discogenic pain. 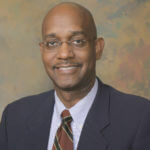 Dr. Parker is active in his community where he holds leadership positions with several local and state medical societies. He has been named a “Top Doctor” by his peers in Memphis Magazine in 2014, 2015, 2016, and 2017. He also plays the bass guitar for his church and Memphis Soul Remedy.